Offering a convenient location less than 2 miles from Mineral Wells State Park, this hotel has an outdoor pool with hot tub and a complimentary breakfast buffet. 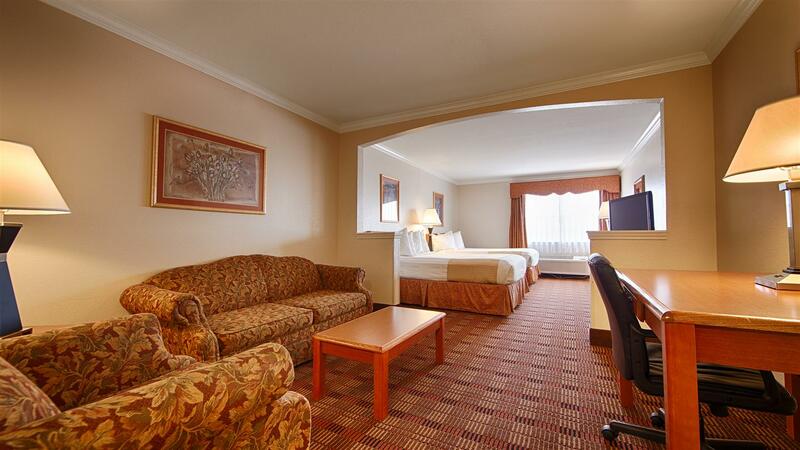 Free Wi-Fi and a flat-screen TV with premium cable channels are featured in each guest room at Best Western Clubhouse Inn & Suites. Rooms are fitted with a microwave, a refrigerator, and coffee-making facilities. Guests can cook a hot meal outside with on-site BBQ facilities. A fitness center with exercise machines and a 24-hour business center are also accessible at Clubhouse Inn & Suites. Mineral Wells Fossil Park is 8 miles from the hotel, and The National Vietnam War Museum is within 5 minutes’ drive.